Roof Moss Removal, Organic Treatment and Pressure Washing in Portland "Roof moss removal, organic cleaning, gutter cleaning, pressure washing and siding cleaning services in Portland. We Honor Pesticide Free Zones, Backyard Habitats, Right to Transparency"
Available for other surfaces only if Appropriate. Learn the methods that work best, the schedule your home needs and the products and tools for easier, safer and less expensive maintenance. Watch how we do it, take notes and you'll never have to call us again ...and we're good with that. What are some ways to clean decks and fences? There are several method options. 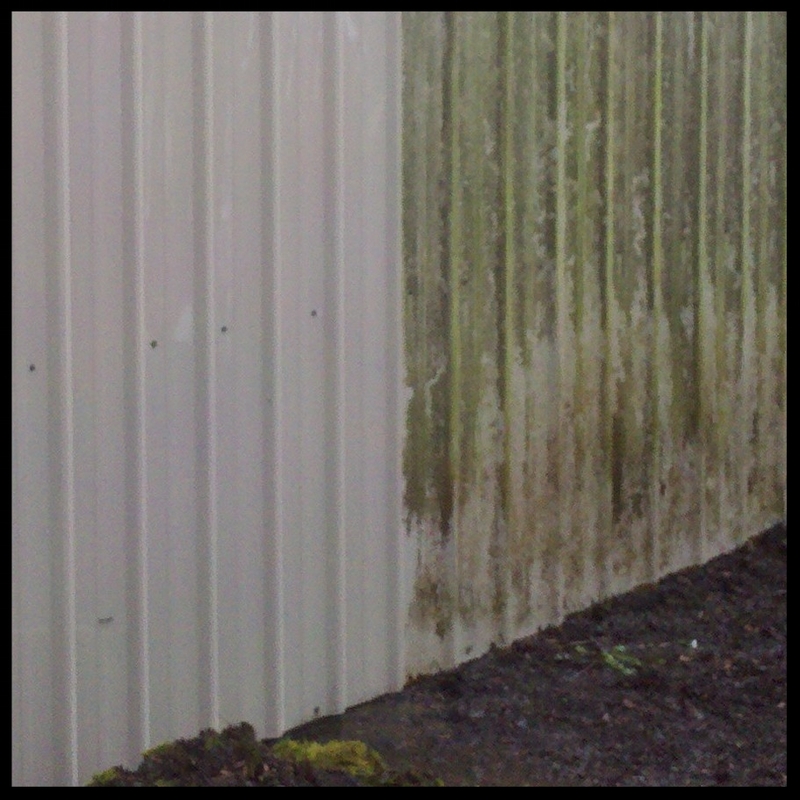 The same type of method can be used as described in the siding cleaning section. From just removing that slippery top layer of deck crud to fully prepping quality woods for annual coating. All can be done gently, without pressure washing or wood damage. How to clean gutters safely? Gutter cleaning requires good planning to be done safely. Your employer can't allow you to be more than 4-6 feet off the ground without protecting you against a fall... Home is no exception to risk. Learn how to deal with uneven or slick ground, wind, managing debris, protecting your basement, preventing underground clogs and much more. What are some helpful tips on window cleaning? Window cleaning can be tedious but a few tweaks to your current method can eliminate streaks, save your back, reduce risk and might even have you staring up through a clean skylight with only yourself to thank.